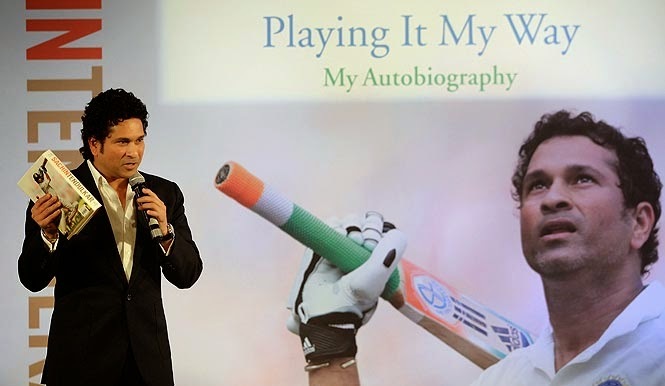 >> Sachin Tendulkar’s much-awaited autobiography ‘Playing It My Way’ was on 05 November 2014 launched in the presence of some of his former teammates, celebrities and family members at an engrossing ceremony in Mumbai. 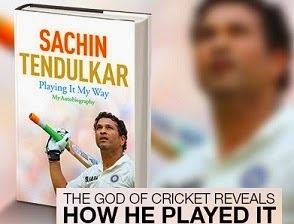 >> The book, the first copy of which he gave to his mother Rajni earlier in the day, was unveiled by Tendulkar himself amid thundering applause by the gathering. 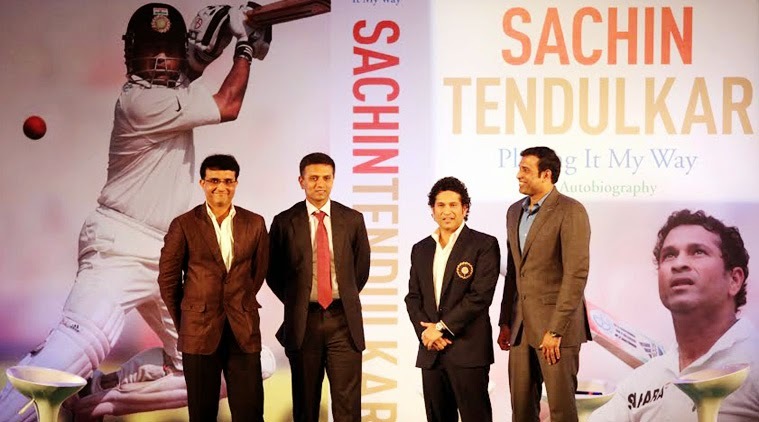 >> At the launch, Tendulkar presented a copy to his mentor and childhood coach Ramakant Achrekar in the presence of his daughter Sara.